Although St. Patrick’s Day, Easter, and spring are just around the corner, summer isn’t terribly far away! During the summer, what could be better than a delicious, homemade Popsicle? 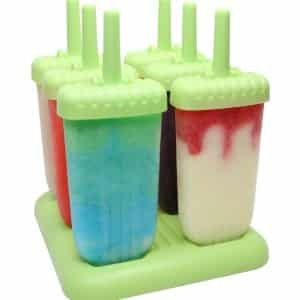 If you would like to try your hand at making your own Popsicles, check out this Amazon deal on dishwasher safe popsicle molds. These molds typically sell for $21.99, but today they are on sale for $11.99. These molds have a special feature that catches drips and they are BPA. Order your Popsicle molds while this offer is still available.